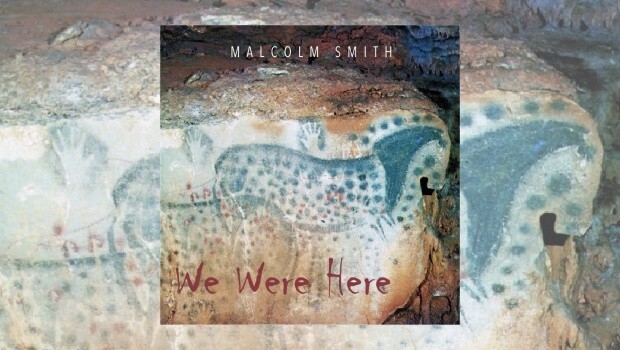 We Were Here is the first solo album from US composer and guitarist Malcolm Smith, a name perhaps not too familiar to many, so where he comes from may be of interest. He emerged towards the end of the 90s as co-founder of Metaphor, a band who would release three studio albums – Starfooted (99), Entertaining Thanatos (03) and The Sparrow (07). I first came across Mr Smith with the release of the second of these albums, the ambitious, if not slightly flawed, Entertaining Thanatos. The 2007 follow-up again brimmed with ideas but once again lacked cohesion. 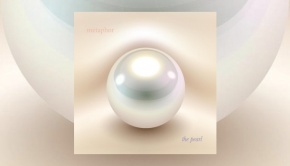 Due perhaps to the mixed responses from the press, Metaphor took time out, which allowed Malcolm and fellow Metaphor keys man, Marc Spooner, to work on this project. A quick namecheck to conclude the introductions – the bass parts are undertaken by Loren Gustafson and completing the rhythm section is ex-Änglagård drummer Mattias Olsson. The album also features several guest appearances including Metaphor vocalist John Mabry. Unlike the Metaphor releases, We Were Here is pretty much an instrumental affair with over twenty minutes of the album elapsing before the first of the vocals appear, more on this later. What is striking from the first track onwards is the unashamed progressiveness of the album, so if you enjoy carefully crafted instrumental music, then this CD should be a real treat. Perhaps wary of mixed feelings towards the Metaphor albums, We Were Here did take a couple of listens before it clicked in, but once it did it grew with each subsequent spin. Smith and Spooner work really well together and the constantly intertwining parts reveal subtle nuances each time through. Holding down these threading, oddly metered parts, is a skilled and dynamic rhythm section. The music remains melodic and tuneful, although often quirky and not afraid to stray into more dissonant areas for impact. Cavity Research is a prime example, conjuring a pastiche of Welsh giants Man, along with flavours of the Canterbury scene and Pierre Moerlen’s Gong for good measure. During Monkey Signature, Spooner’s varied keyboard palette, along with Smith’s electric and acoustic guitar work, are excellent and despite their obvious skills, they seldom, if ever, move into those areas of self-indulgence. In many respects this the album’s trump card. Although, and not a criticism, I did ponder what sort of album We Were Here might have been with a larger budget? What I am hinting at here, and as I listen to the well constructed brass and woodwind sections, produced by the keyboards, is how much stronger those parts would have been with real instruments. David Jackson or Theo Travis taking on some of the parts… Mmmm. But credit to Marc Spooner that he was able to challenge those thoughts and imagery. The first, and in fact only, vocals emerge during Still…Life and although it seemed a little odd to leave it so late in the day to bring in the singing, it works surprisingly well with John Marby turning in fine performance in this Genesis styled ballad. Still…Life is followed by the album’s mini epic, Sykiatry, and an opportunity for the band to cut loose. Once again the jazzy nature of certain sections of the track, and especially the tuned percussion, brought back thoughts of Pierre Moerlen’s Gong along with recent The Samurai of Prog’s reworking of Robert Webb’s The Imperial Hotel. Marc Spooner’s keyboards being the catalyst here and as demonstrated throughout the album he has a knack of picking the right sound for the right passage – even if it is one you might not fully expect. Initially I found Sykiatry a little rambling in nature, however the more I listened the more it worked. And there we have it – at a tad over three quarters of an hour, We Were Here, is an ideal length, saying what in needs to say, but without overstaying its welcome. I believe there’s a new Metaphor album on the horizon, on the evidence here this may well see the band make an album that will allow them to make significant inroads into a somewhat overcrowded progressive market.